Be it school, college, or a trip to the beach; carry all your essentials in the double pocket zippered tote bag. Embroider your company’s logo on the large imprint area, to prominently advertise your brand. Be it school, college, or a trip to the beach; carry all your essentials in the double pocket zippered tote bag. Embroider your company’s logo on the large imprint area, to prominently advertise your brand. 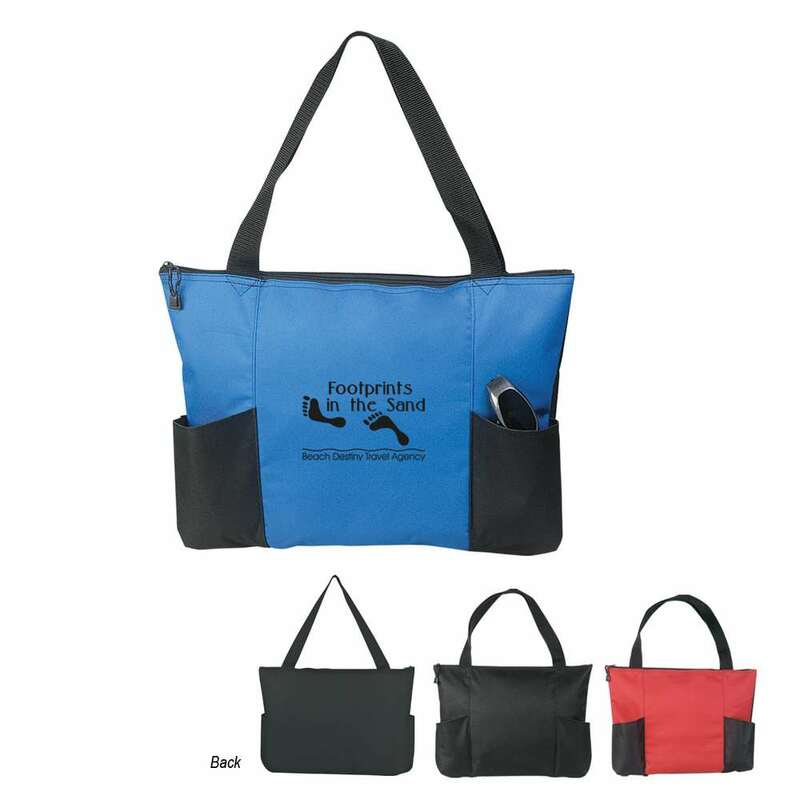 The tote is made of sturdy 600D Polyester material. It has a tri-panel front and top zipper for maximum security. Its two side pockets provide additional storage space. A 26” web handle enables hands-free transport. Spot clean/air dry to prolong bag lifespan. Give away this stylish gift to reflect your company’s care and commitment towards your customers.